As some of you may remember, Duckie is the soft toy that Betty has had since she was born. 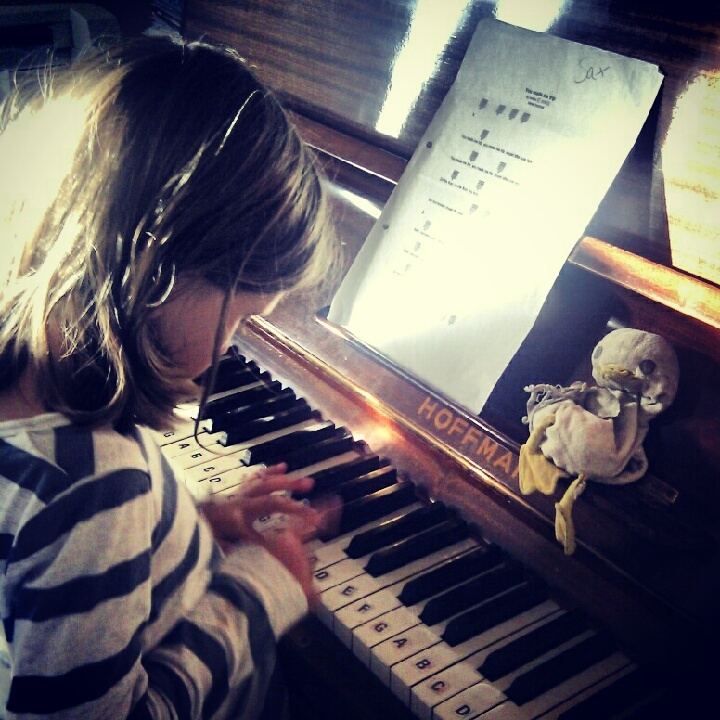 And at five years old (almost six) she is STILL besotted with her duck. Duckie, at one point, did go into semi-retirement, where he was put to sleep in a lovely little cradle in her bedroom. He was left there untouched, and although a little sad, we all breathed a massive sigh of relief. But just a few days later, Betty buckled, and Duckie sprang back onto the scene with a vengeance. She has now transformed her wardrobe into 'his bedroom'. And although she doesn't seem to mind her own bedroom becoming an absolute tip, if you dare move anything out of place in Duckie's bedroom she goes crazy - and he has a heck a lot of accessories, pictures, toys, and food in there. But poor Duckie is threadbare, smelly, grey, and his worn wings and legs have all fallen off at least once. I have been renamed 'the vet' by Betty because I have to keep fixing him. And I am no great seamstress, so you can imagine the state he is in. I have no doubt Betty would cut off her own arm for Duckie. In fact she would probably happily cut off my arm (and Tom's and Dolly's for that matter) if it meant Duckie being happy. Duckie deserves to be cherished! So lovely that your daughter is called Betty (my mother's name). Came to you via Janelle in Tanzania. Oh no, the day will come too. Maybe you could put Duckie's remains into a special glass box like Snow White? !